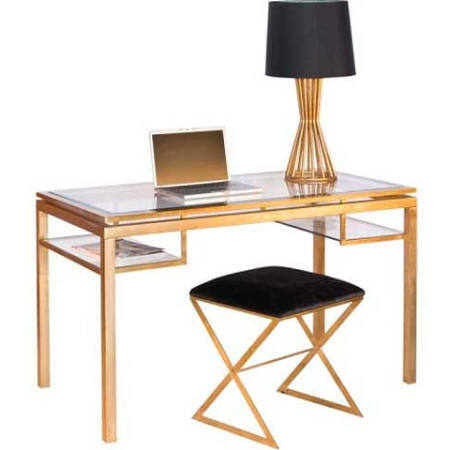 Tomorrow on Week Four of the One Room Challenge, I will be showing you how to knock off this $1700 Worlds Away gold leaf desk for $60 as well as my picks for styling your desk. OMG!!! This is going to be WONDERFUL! Cannot WAIT to see what you have done!!! Great! I love that desk but $60 will make me love it even more. I need that desk! You did a great job, love the gold! FAB FAB job! Now you are inspiring me to do this for myself!!!!! !